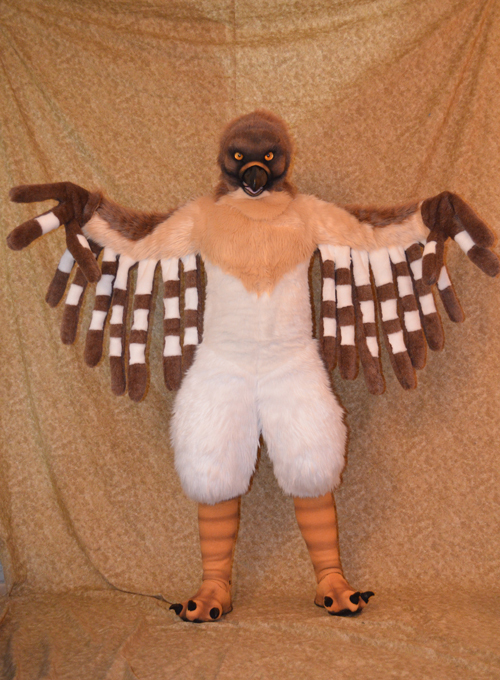 A Red Tailed Hawk fursuit. 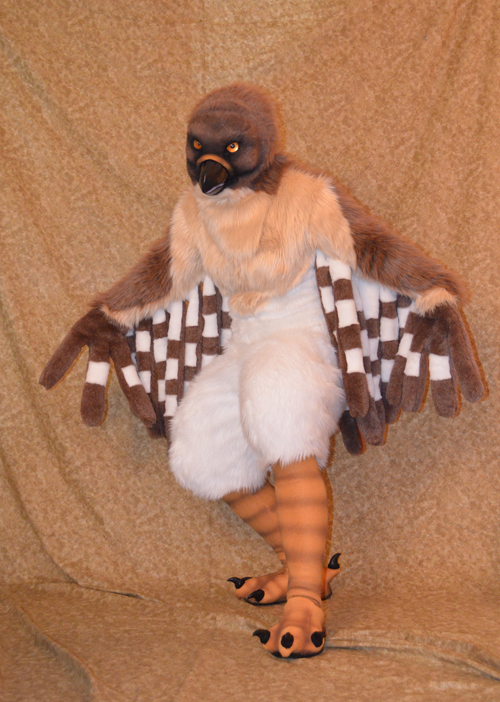 One of my more complex suits; there are 7 different types of fur (8 if you include the fleece for the legs/feet). 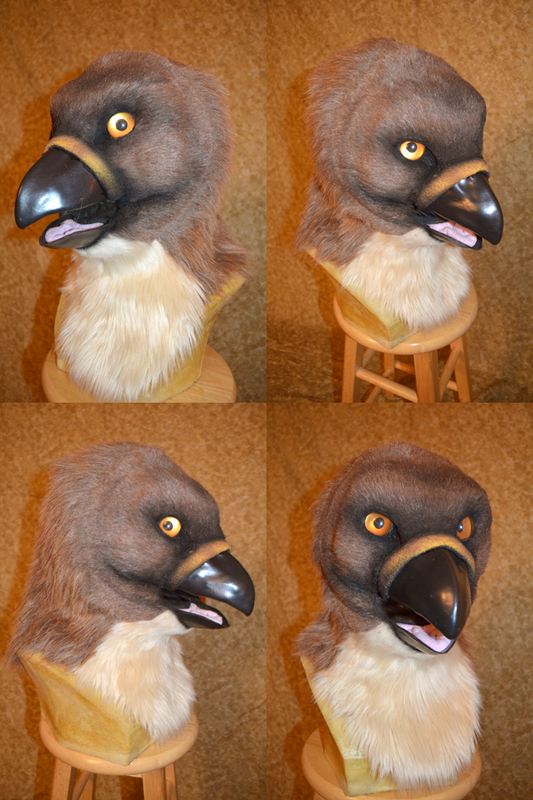 Head is an ABS plastic base with moving jaw. 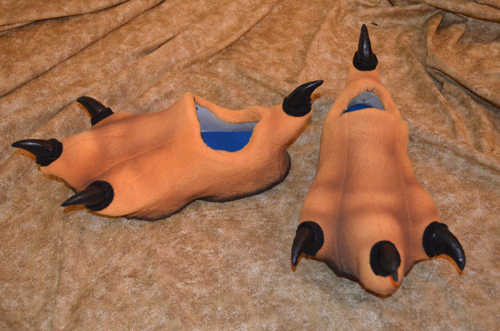 Feet are built over a sneaker, covered with fleece, and airbrushed for accents.